The Legend of Zhenhuan, a megahit TV series that took China by the storm in 2011, was broadcast on American streaming website Netflix as Empresses in the Palaceon March 15. The 76-episode series was edited into six episodes and dubbed in English for foreign viewers. Despite the high ratings that Zhenhuanreceived at home, it flopped in reviews overseas and generated far less hits than expected. Nevertheless, for a Made-in-China TV series to go on the global stage, it was still invigorating news for China's showbiz. Exporting homemade TV series has been a long-cherished goal for China's cultural industry. Sadly, the ones that do get the chance to go abroad are miniscule in number compared to the vast market and volume of domestic drama. 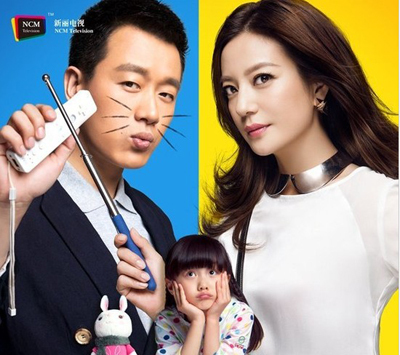 According to Huang Lan, producer of parenting drama Tiger Mom, out of more than 15,000 episodes of domestic drama, only 10,000 hours (roughly 200 episodes) were exported through the China Radio, Filmand Television Program Exchange Center. More than half of the dramas exported to East and South Asia were based on history and modern dramas comprised only a small portion of those exported. Chinese dramas are almost unmarketable in Europe and the Americas. Aside from a few on historical topics, a scanty few can influence on the Western world, if any.